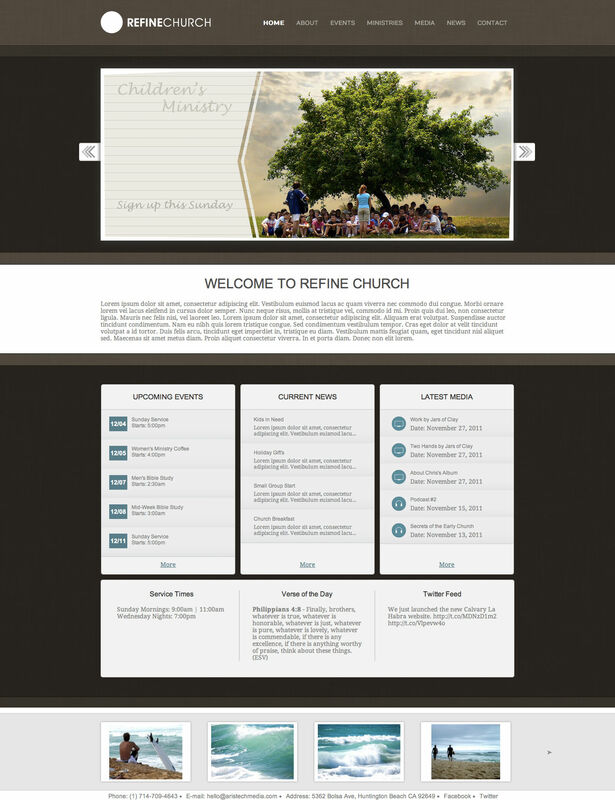 Refine Church WordPress Theme has a considerable array of custom features that are managed through a custom options panel, and custom widgets. These customizations allow your church to manipulate the themes features, whether it be the logo, service times, homepage images, hours of operations, webcasts, and more. Through these features, you can bring your information swiftly to anyone who visits your site. 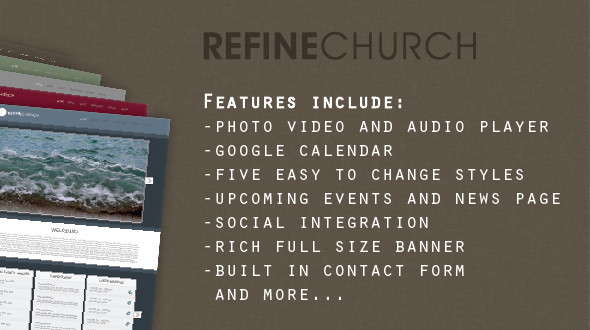 With the Refine Church Theme, you can manage all your events, videos, podcasts, photos, church news, ministries, and more. You also have the ability to choose from five various color styles for the theme, which include variations of blue, red, grey, green, and brown. - Fixed links to news items on the homepage that were broken in certain configurations of wordpress.